A program that targets children in low-income areas so they have meals during the summer is seeking sponsors and meal sites. 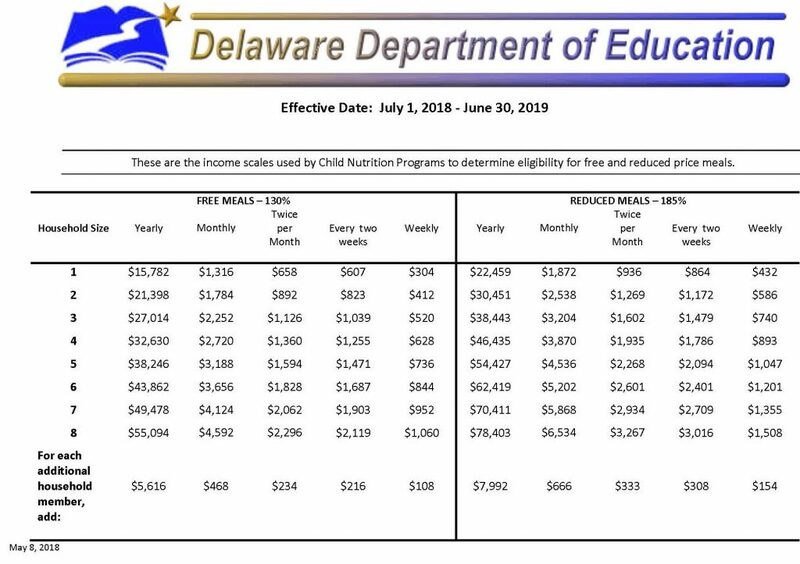 The Summer Food Service Program (SFSP), a federally funded program operated by the U.S. Department of Agriculture (USDA) and managed locally by the Delaware Department of Education (DDOE), needs sponsors and meal sites for locations throughout Delaware to increase the number of children 18 years of age or younger who receive nutritious and healthy meals during the summer months. Organizations that participate are eligible to receive reimbursements for meals served and administrative expenses. • Sponsors – Units of local government, camps, schools, and private nonprofit organizations are eligible to operate a SFSP as sponsors. • Meal sites – Individual sites, such as camps, housing complexes, community centers, parks and homes are eligible to operate a SFSP as a site under a sponsor. The sponsor would prepare and deliver the meals to the site (some locations may be served by a food truck, depending on availability). An adult at the site would be required to be the site supervisor to oversee the meals being served. • Children – Children 18 and under may receive free meals and snacks through the SFSP. Sponsors and sites will receive training to help them operate a successful program and will have continued support from the Delaware Department of Education throughout the course of the program. All sponsors and sites must agree to serve meals per the USDA Nondiscrimination Statement. Eligibility for SFSP is based on free and reduced lunch data for a school for a particular area or census data. To qualify as an open site that can feed all children, the site must be in an area where 50 percent or more of the children qualify for free or reduced lunch. In addition, camps and enrolled programs may qualify based on individual income eligibility. The income scale is available here.